If you’ve spent any time at all in the kitchen, you’ve likely overcooked – or flat out burned – at least a couple of meals. A new countertop oven by the name of June aims to make you a better chef by identifying the food you place in it and offering up tips on how to cook it to perfection. 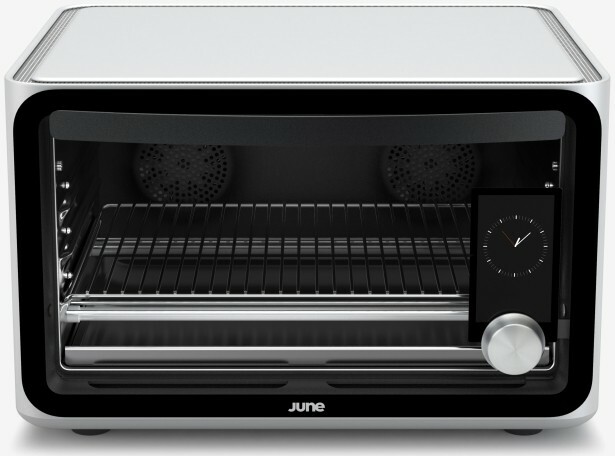 June packs more technology into its microwave-sized oven than most kitchens have combined. As The Verge points out, it features a 5-inch touchscreen display, Wi-Fi connectivity and an HD camera that’s all powered by a quad-core Nvidia Tegra K1 processor. It uses six carbon fiber heating elements (four broiling elements on top and two baking elements on the bottom) alongside two convection fans to help maintain consistent temperatures as your food cooks inside. Despite its relatively small size, it can accommodate up to a 12-pound turkey. The oven’s big draw is the camera system. As June co-founder and CTO, Nikhil Bhogal, explains, natural foods all have micro-textures that are unique to a particular type of food. Pork has a different looking fat pattern compared to beef, for example. Through its camera, June uses computer vision algorithms to detect these differences and identify what it’s cooking. 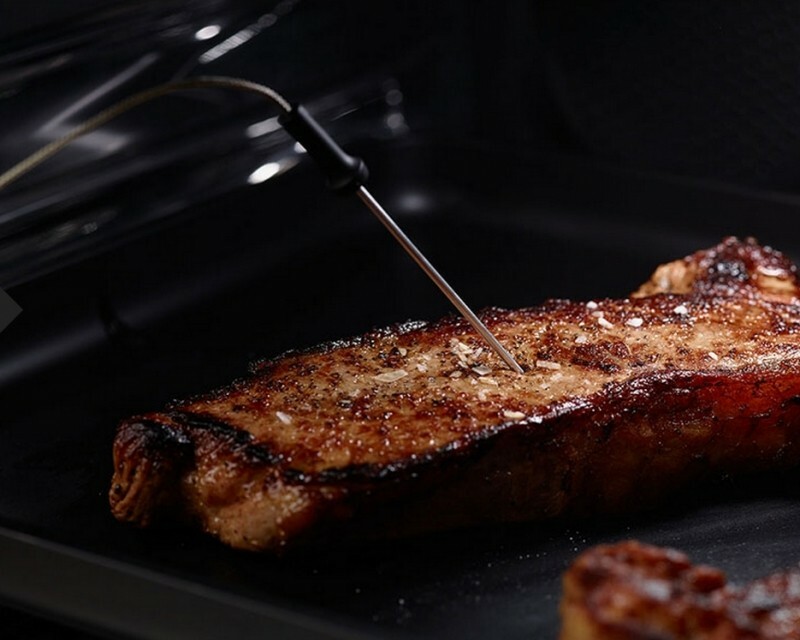 Food discovery is also aided by a built-in scale and there are a pair of cooking probes that come with the machine that allow you to monitor internal temperatures of steaks or other meats as they cook. Co-founder and CEO Matt Van Horn said the machine is an expert when it comes to steak, chicken, white fish, salmon, bacon, cookie dough, brownie mix, toast, bagels and hamburger buns. Future software updates will expand the oven’s identifying capabilities, he said. Unfortunately, smart appliances rarely come cheap and June is no exception. The oven will go on sale next year at a price of $1,495. Interested parties can put down a $95 deposit to reserve a unit. LOL...nearly $1500 for a counter oven, eh? Good luck with that. I think it would be wonderful if this thing could have a catalog of all kinds of foods. Maybe you could scan a barcode on the bag of pizza rolls and the oven would just know how to cook it. It seems like this kind of thing would be highly possible. It could just know how to cook damn near anything. 1,500 dollars is still out of control though. $1,500 is high, but first gen cutting edge usually is. When my parents bought a 32" tv in 2006, it was with a nephew's discount, 1000,00. Now, you can get a 65" for around that price in places. If this works out, more will want it and the price will come down.